In November 2009 I decided to buy an LG plasma TV, the 50PS8000: I read many good reviews about it and the specialized forums were full with messages about its good qualities. The deciding factor was the THX preset, that, in theory, should give good image quality without a professional calibration. There were also messages about the problems that LG had with quality control and the lousy service centers, but I decided not to trust them (there were similar messages regarding every other brand) and I bought the tv anyway, a decision that I since regretted. The first few weeks I was very happy with my new tv and its wonderful picture quality, especially with high definition material. One day I realized that the panel had a brighter triangular patch, covering half of the top part of the screen, visible at night during dark scenes. I contacted LG through their web page and they took their time to reply (one month, more or less). The photo I sent them wasn’t as good as this one and it was very difficult to see the patch, so they replied that they didn’t see anything. Then I took a better photo so they registered the complaint and sent the local service centre (SELTRON) to take a look at the set. They came at midday, so it was difficult to see the spot, but with the rapid flash that the tv does when it turns on it was clearly visible, so they agreed to replace the panel. Up to this point I was very pleased with LG: they were slow to reply but fast to act, and the worrysome bright patch had gone. But my happiness didn’t last: the image of new new panel was somewhat lacking. It seemed as if the black level and the contrast was worse, giving a duller image than before. 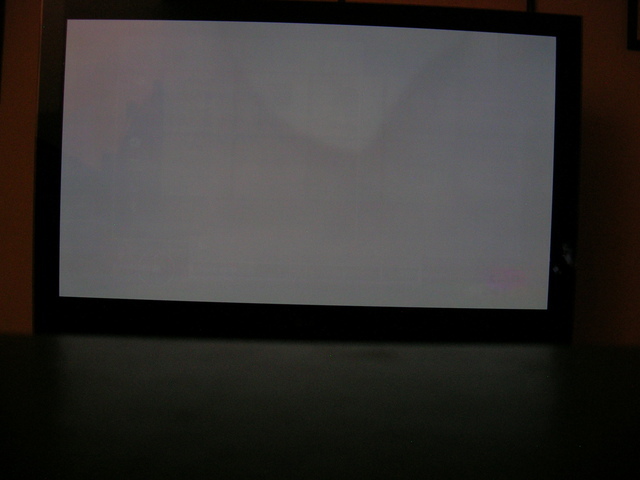 Then, watching a film, I saw that the brightness of the panel changed suddenly, creading a very unpleasant effect, a problem I never noticed with the previous panel. Besides, with some titles, I saw line bleeding, i.e. bright details extend horizontally. This is normal with plasma, but only in extreme conditions, at normal brightness and contrast levels it should be barely noticeable, while in my case it was very pronounced, so I prepared a couple of test videos, one to test the brightness change and the other to test the line bleed, then filmed the tv playing the brightness change test video and took a picture of the line bleed, sent everything to LG and I was sure they would fix it promptly. LG opened another trouble ticket and I received a phone call from the service centre (SELTRON). They advised to wait one more month, to let the phosphors stabilize and, if the problem persisted, I should call them again. I knew it wasn’t a problem with the phosphors, but I agreed to wait. After one month and a half I called, but they weren’t willing to take my call (they told they would call me back but they never did), so I contacted LG again for another problem (see the appendix) and told them to send the service centre. The very next day SELTRON called me telling that they spoke with LG and my tv has no problem, the change in brightness was probably due to the dynamic contrast or an energy saving mode. I told them that I did all my tests in THX mode, with no dynamic contrast, no picture enhancements and no energy saving, so they told me to call LG. So I did, and their last answer is that the panel itself has some picture “enhancements” (that’s how they define them) that cannot be disabled, and they don’t need to look at the tv to know that it is working correctly. We have to inform you that, according to what you say, the service centre followed the correct protocol, they also contacted the factory to ask about the problem. In this case, the product engineers determined that your set is not faulty. The panel itself has some internal parameters to enhance the image, even with the energy saving sensor disabled, for the purpose of giving a better picture. For this reason the service centre won’t pay you a visit since LG doesn’t consider the set to be faulty. Here is a video of my tv showing a movie (a series actually but it doesn’t really matter) so you can see if it is or not faulty. Look around seconds 7, 15, 17, 18 y 22. You never told us if reproducing an original blue ray or dvd you see the same fault, you only saw it with satellite broadcasts or files downloaded from the Internet, with the corresponding possible problems regarding qualiy or compatibility of the files. We performed all the tests we found necessary and we have to inform you that the problem is due to the files being played. Now you know: LG tv sets are only useful with blue(sic) ray or dvd, for every other kind of material they are no good. As we already informed you, apart from the files, there are side effects due to the technology of the panels and the electronics. Lcd and plasma’s technology isn’t perfect, it’s just the most up to date, even in the most advanced models we can find something if we look very deep, something to improve, something that some customers may classify as a fault, while they’re features of this kind of sets. In this instance what happens with the change of brightness is something that can be detected more or less, a feature of the technology, and if you look around you’ll see that this isn’t an exclusive feature of a sole manufacturer. This is due to the panel that, exposed to a change in tone, has to do a sudden change in a zone, and it has to raise/lower the brightness a lot, it cannot control that the rest of the plasma excites the phosphors, and a change is produced in the rest of the panel. That is, it cannot raise suddenly the brightness and power in an area without the phosphors being affected, as, for example, can do a led tv with local dimming, that’s a completely different technology than plasma. We understand this problem could be disturbing since you’re always looking for it. So, as we already told you, the tv/panel is completely faultless. While I was waiting for the month to pass, I contacted LG to tell them about a problem with the integrated player. It turns out that I regularly watch satellite tv, I especially like the BBCHD because it has good programming and the picture quality in HD is quite good, so I wanted to use the integrated player to watch recorded broadcasts. The problem is that BBCHD broadcasts with a 16:9 aspect ratio, but the resolution is 1440x1080. Every player I used (vlc, mplayer, xine) has no problem playing these recordings with the correct aspect ratio, but the integrated player doesn’t scale them, so they are squashed in the centre of the screen. 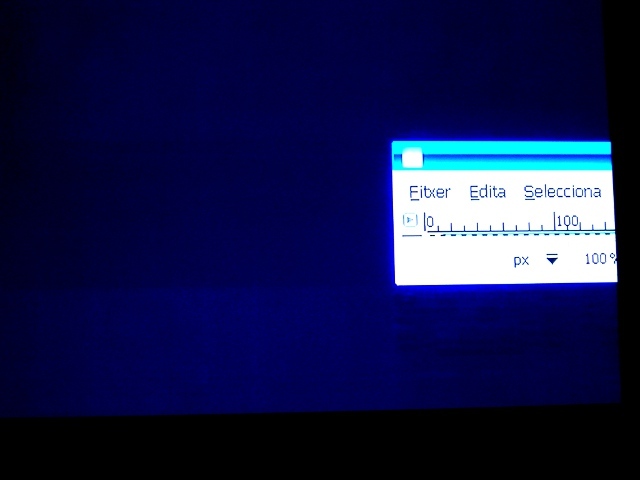 Another problem is tha the integrated player doesn’t show the dvb subtitles that are present in the recordings. Even if the manual doesn’t specify anything about embedded subtitles (it only has a section about external subtitiles files), it specifies clearly that it can play ts files with the specifications of my recordings, so I think they should update the firmware to correct this problem (besides, newer LG plasma play these recordings with the correct aspect ratio). But according LG the player is working correctly, new TVs plays it fine because the have more codecs (which is a lie regarding ts files, and has nothing to do with the aspect ratio). When their explanation doesn’t hold water they resort to lies. Written by Luca Olivetti in lg on Sat, 26 Jun 2010.